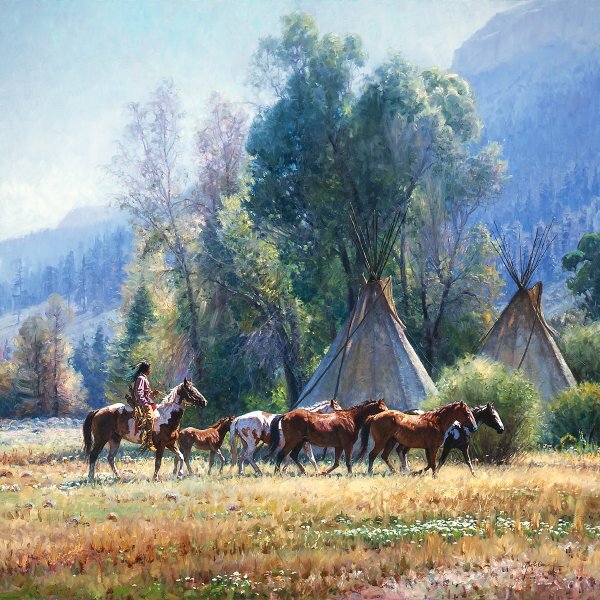 Works by Martin Grelle are some of the most highly sought in the art world. This outstanding image is in the tradition of the talented artist's works. A brave returns to his camp with a herd of horses after having taken them to the river for water. His camp, nestled in a grove of trees in the beautiful valley, offers welcome shelter after his journey "Back from the River."